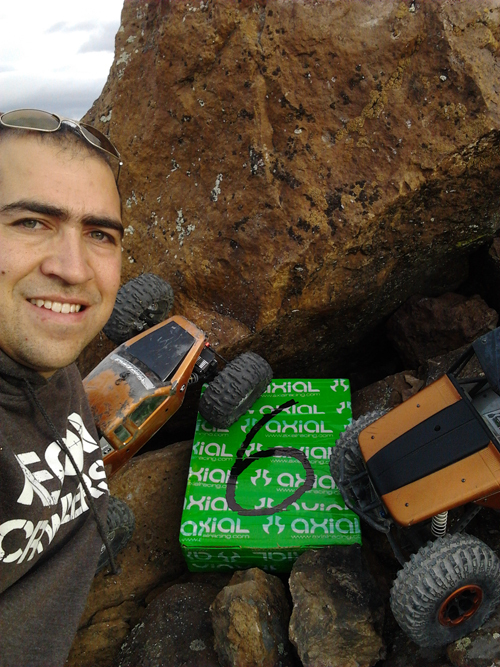 Axial Racing - The AXIAL Geocache #6 Cache and Carry – Found! The AXIAL Geocache #6 Cache and Carry – Found! 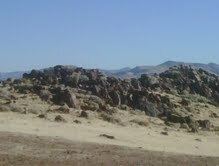 Congratulations to Rhett Mora of Fernley, NV for getting out and finding the Axial Geocache #6…. The last one for 2011. Rhett fuond the Axial Geocache #6 on December 28th, 2011 at 2:55PM PST. Here is what Rhett had to say about his adventure. Rhett scored on this find… Not only did he get a full set of AX30790 Machined Heavy Duty Aluminum Straight Link 101mm – Grey (2pcs) and a AX30834 Aluminum Servo Horn 23T (Hard Anodized), AX30835 Aluminum Servo Horn 24T (Hard Anodized), some cool Axial swag limited only to the Axial Geocache program. And from the courtesy of RC Driver for the holidays, 2 free RC Driver Magazines, an RC Driver T-Shirt and a one year subscription to RC Driver. For letting us know that he found the Axial Geocache #6 we have sent him the hardware to mount the aluminum links on his Wraith, 2ea AX80057, 1ea AX80018, 1 bag of AXA0187 and another AX30835 for his Hitec Servos. The Axial Geocache #6 has been planted by the one and only Brian Parker. It’s not on the East Coast and it’s not on the West Coast. Grab your Axial rigs and go get it…. make it an adventure and tell us about how you found. There is a great view of the town once you get there. Remember this is a cache and carry find, once you find it, it’s yours to take with you. Tread lightly and leave no trace. Awesome. 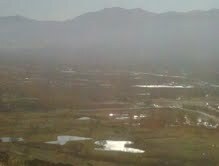 Something a little closer, still hoping for Ft. Collins, CO or Vedauwoo Wyoming. You’ve Crossed the Country for events. I also understand not wanting to stop in Wyoming in December. Wish you guys would do a Geocache in North Carolina in March for Spring Break. Will be staying at a log cabin that was built in the 1930′s and hiking through Grandfather Mountain and exploring everywhere else around there. Hey, My name is Scott and I got into RC crawling about a year ago because of a buddy of mine. I bought a used AX-10 from a local hobby shop and have had a ball with it. I recently bought a Wraith and I’m still learning about it. I also recently started geo-caching. My two sons and I really enjoy doing it together. I am planning on purchasing them their own crawlers when they are old enough. I really like your products and just wanted to say I think its great that your company places geo-caches that have to do with crawling. I hope to see a Tennessee cache someday. Thanks for all the fun your products make. HAPPY NEW YEAR! i second for doing it in wyoming, would love to be a part of this.